During an interview with RT, Lavrov said that some Western countries have double stances on Jabhat al-Nusra organization as the US-led international coalition does not want to fight the terrorist organization, but to preserve it to be used later to promote its own agenda in Syria. 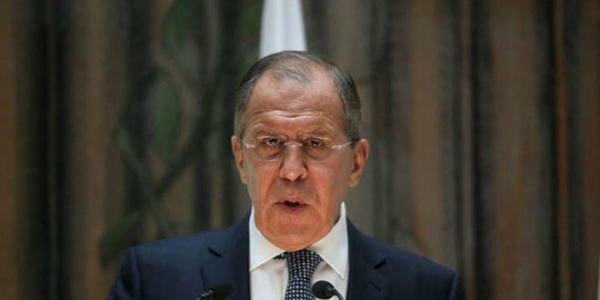 “Attempts to profit from anti-terrorist objectives – which should be common, unified and without double standards – are disturbing,” Lavrov noted. He pointed out that the US military presence in Syria constitutes a clear and blatant violation of Syrian sovereignty, noting that the Western position on the political settlement of the crisis in Syria is still ambiguous, especially after the elimination of Daesh (ISIS) terrorist organization. “The information claiming that some US military bases in Syria have started to train militants, including former members of terrorist groups, is of course quite concerning,” Lavrov said. On the inter-Syrian talks in Geneva, Lavrov said that Russia supports the Geneva process but the opposition delegation violated the UN Security Council resolutions and put forward preconditions, hoping that the delegation will abandon the preconditions and exclude some radical parties from its ranks. The Russian minister added that Russia has initiated the call for holding the Syrian National Dialogue Congress in Sochi because there is a need for direct dialogue between the government and other opposition parties, saying that the opposition delegation in Geneva does not represent all the spectrums of the Syrian people and for that reason Moscow has put forward about 1500 names of the political forces who are not presented in this delegation to push the process of political settlement. Lavrov pointed out that Sochi’s conference will be held next month and is supported by de Mistura, stressing that it will not be an alternative to the Geneva process but rather a support for it in order to find a political solution to the crisis in Syria.